“He has completely changed. His friends used to call all the time, but now they're all going to college. He doesn't talk to us, or to any of his friends. My son is swallowing all his fear. He tells me not to tell his mother all the details because she will cry." – Praveen's father Manjunath. 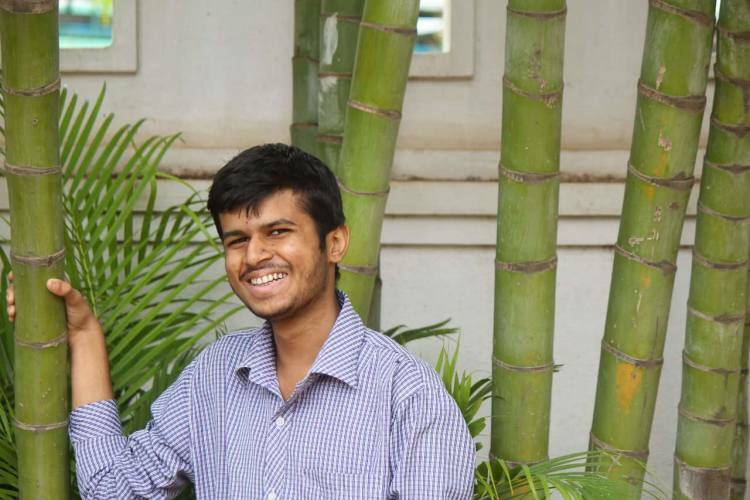 Going to college was Praveen's dream. But just before his it started, he fell sick. His hands and legs hurt painfully. To his parents' shock, he was diagnosed with blood cancer. 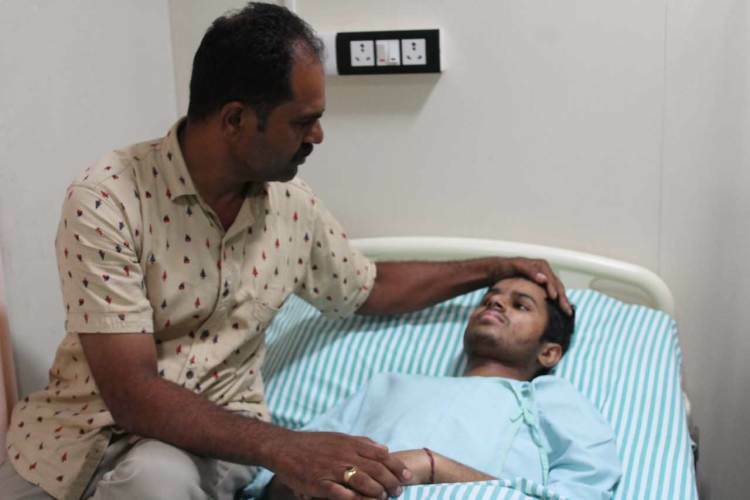 Manjunath, an electrician, is distraught and is running from pillar to post trying to keep up his son's treatment. Praveen is now too tired and in pain to even attend one class. His hands and legs hurt all the time and he is usually resting the whole day. But it is the change in Praveen's nature that has his parents most worried. Their once-happy teenage son is overwhelmed by his condition. “He wanted to go to college so much. I told him to do a diploma like me. But he said he could become a doctor only by going to pre-university college. He was so excited – he kept talking about taking medical entrance exam. 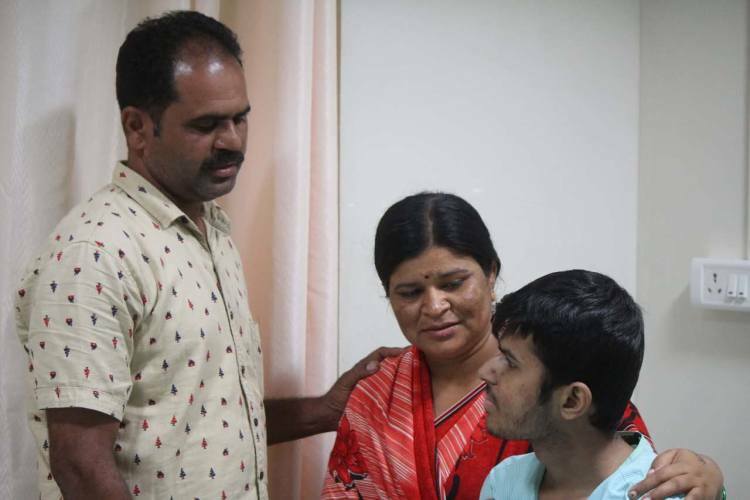 We got him admissions also, but he couldn't go.” –Manjunath. 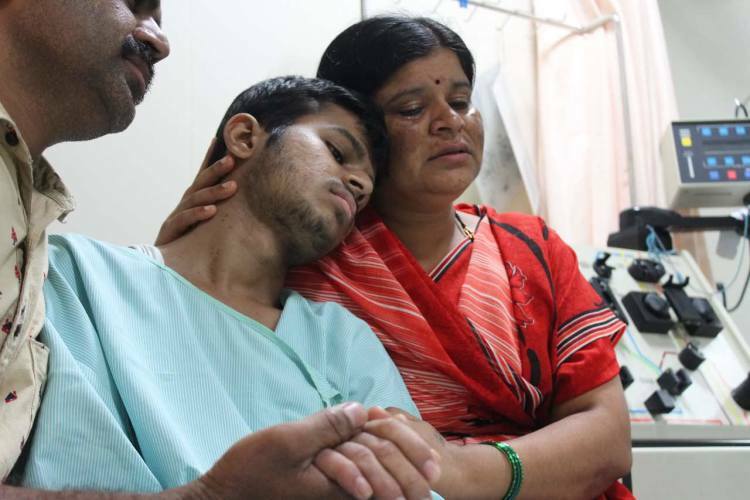 “We have to come to Bangalore from Davangere for treatment. It is expensive, so I take the cheapest bus and my wife and son come in the train. There is a concession for cancer patients. We have to leave our little daughter alone at home. I tell her to keep the TV on and go to sleep so she doesn't get scared.” – Manjunath. As soon as it looked like something was seriously wrong, Manjunath got Praveen to Bangalore. 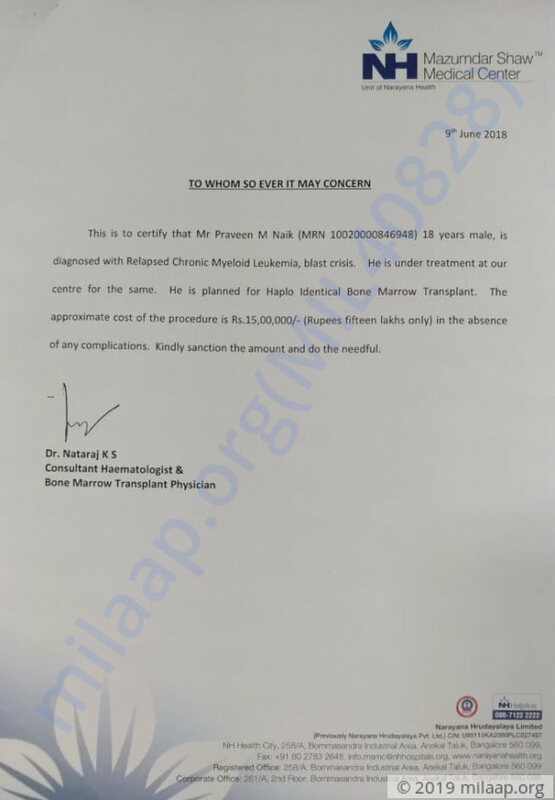 But even before the treatment started, he ended up spending over Rs 1 lakh on checkups. 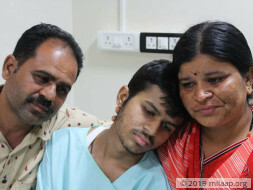 Manjunath needs another Rs 15 lakhs to complete chemotherapy and bone-marrow transplant that Praveen needs. “For a day's work, my employer pays me Rs 350 and I barely earned Rs 8,000-9,000. Whatever extra we had – we spent on our children's education. I never imagined that we would be in this situation. We are thinking all the time. We lie down and we fall asleep. If we wake up, we can't go back to sleep any more.” – Manjunath. Despite cancer growing so fast, the doctors have given his parents 90% chance of recovery. But this is possible only if Praveen is able to complete chemotherapy and bone-marrow transplant on time. His father lives each moment trying to make that happen and he needs your support. 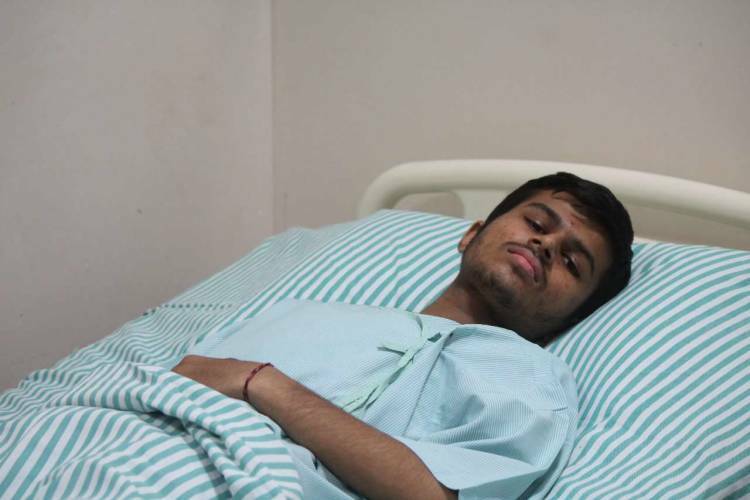 Praveen passed away, despite doctors' best efforts, he was facing a lot of complications in his last days. 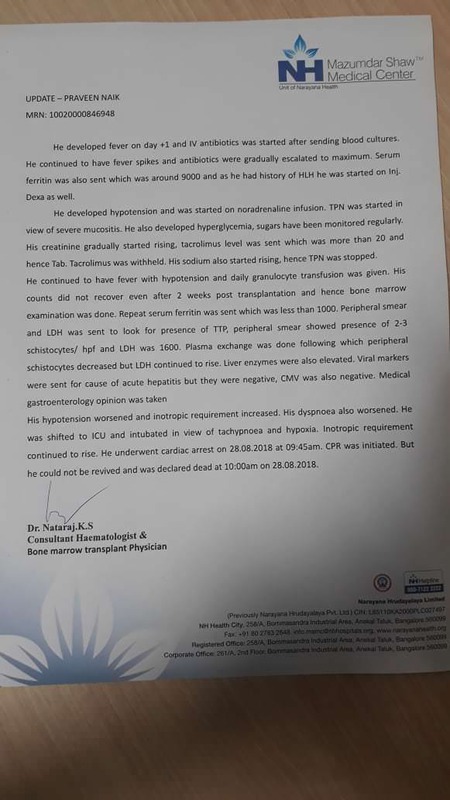 His body had become too weak to recover, his liver was also not functioning well and he developed hypo-tension which deteriorated his health. He battled hard for his life, he suffered a cardiac arrest and took his last breath in the hospital. The family is devastated after their loss. All the funds will be utilized to settle down the hospital expenses. Thank you for the support you have shown towards Praveen so far. 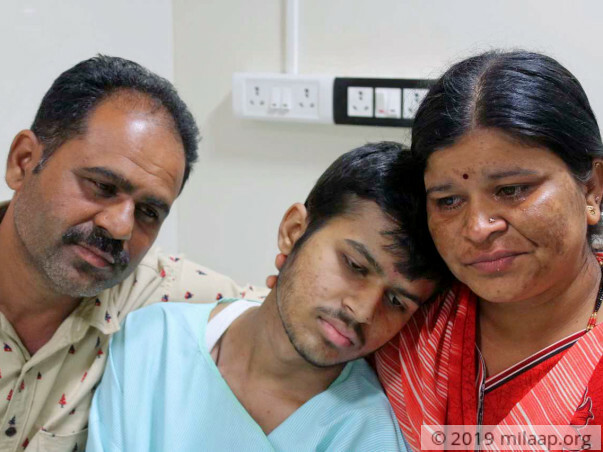 He has successfully completed his transplant and right now is undergoing engraftment which is a crucial part of recovery from transplant. He is under constant post operative care so as to ensure he does not catch any infections. Thank you for the support so far. 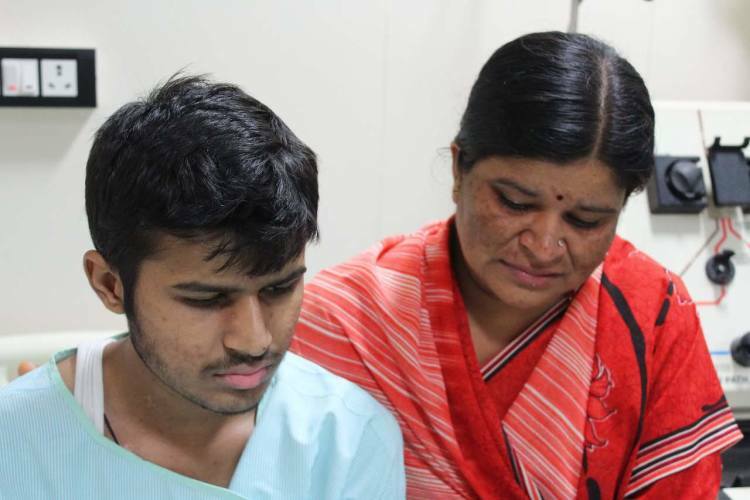 Praveen has been admitted for his bone marrow transplant with his father as the donor. He is currently stable. We will keep you posted on his condition further.